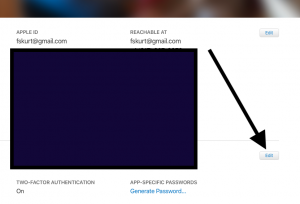 You are here: Home / Tips and Tricks / How to Turn Off Two-Factor Authentication? How to Turn Off Two-Factor Authentication? Please further note that if your device is running iOS 11 (or later) or macOS High Sierra, you will be automatically switched you from two-step to two-factor. I appreciate the concern of security but what if some one lost their devise and they want to access their icloud id. When they will try to logged into the account they will certainly asked for two factor authentication. Then though user is genuine they will not be able to access their own account. thats insane . At least there should be option of disabling it . I recently lost my iphone but fortunately I do have another iphone so i was able to recover it data from icloud. but it is not right. please guys look into this matter. This is exactly what happened to me. Someone stole my phone and now I’m sitting here with no possible way whatsoever to access my account or all my data that is saved on icloud. All phone numbers, all photos, everything. Gone. I would like to turn off 2 factor id. Unfortunately I did not know I only had 2 weeks after I turned it on to change my mind. Same to me. This is worst thing apple could do. How can be such system that is controlled by manufacturer NOT by owner. In future i will think twice before purchasing new device/’s – either android or new apple – but with new AppleID – just for this devise. I’m angry at apple – I hate when you can own something that you don’t even control. “Can I turn off two-factor authentication after I’ve turned it on? If you already use two-factor authentication, YOU CAN NO LONGER TURN IT OFF. (That’s how Apple RUINS everything decent they do….the IDIOTIC limiting service…..
What f*cking good is “Find my iPhone” if you can’t login to find your phone without your phone? Karl obviously doesn’t get it. It will not allow you to sign in from a browser unless you enter the 4 digit code sent to your iphone. This is completely useless if you can’t find your iphone and are trying to use Find My Iphone from the web browser. The two-factor authentication is also on on all of my devices. The problem is the page where I’m supposed to put the verification code is not popping up; just the page where you put your password. Now I cannot update any of my apps. fyi if this happens you can type the verification code in right after your apple password and it should let you in. Thanks for posting the information, was searching everywhere on how to TURN OFF TWO-FACTOR, so in IOS 12.1.1 it cannot be done anymore. Agree this is a really stupid decision, what happen with using security questions? Lost phone, been trying to locate it and can’t get pass this stupid TWO-FACTOR arrrrrrrr!!!!! Extremely frustrating feature that I now seem to be stuck with!! I do not want to have to carry 2 devices with me in order to have one actually be useful!!! One detail that has failed to be mentioned in every post on how to “edit” this this 2 factor verification code process is – you need your verification code in order to sign into Applid.apple.com and edit your settings, change the device your code goes to, or turn it off. For a company that wants to be thought of as the BEST they are, let me put it mildly – not very bright. Wake up people – their motives are so transparent, every process they use is just a way to get you to buy a new device. Devices stop functioning all the time, more time than not Apple causes that malfunction. Just think of the ramifications, all your data stored on iCloud, the device receiving your verification code no longer operates, you can’t change where you want the verification code to go because the code goes to a device that is not working or worse lost / stolen. So you can’t sign into you apple account to see or get any thing. Who would design a process like this? Oh yeah, Apple would. Apple device owners – start demanding Apple stand behind their over priced products and supply resolution to the poorly designed or in actuality their misguided money grubbing monger that will squeeze every dime out of you that they can processes and start helping their customers with solutions. After all you customers have built a 5 trillion dollar company. Think of it as you are one of the owners. Is this the standard you would reach for if this was your company? WTF ?? I lost my iPhone, now I can’t login to my icloud account. How am I suppose access my icloud account? what a bunch of stupid idiots !! You guys are morons !! This system may cause me to leave apple after 30+ years. It is simply unacceptable that I need to have 2 devices with me at all times. The whole reason to have iCloud is to allow some shared storage across devices. If I need to bring multiple devices with me everywhere I see no advantage. A thumb drive is a good bit easier to carry. Got a new Macbook. Guess i turned on two way during set-up by mistake. Didn’t want two way. Have two way. Can’t turn two way off now. You’ve got to be kidding me. Apple change this to an option to disable. Just effin’ wow. Real “genius” there, Apple. Frankly, this has got to be one of the stupidest decisions Apple has made since the infamous iOS8 boondoggle back in 2014 which bricked I don’t even know how many iPhone 6 and 6 Plus models. Seriously, Apple, it’s time to get your collective head out of the sand and start using it for something other than a hat stand. If you require two factor authentication which sends a verification code to a particular device and said device is lost or stolen, like what happened to a friend of mine a couple of weeks back, how, precisely, is one supposed to access their Apple ID with a replacement device if the trusted device is AWOL? Exactly how many Apple execs making these idiotic decisions actually own Apple devices? Apple Execs, I challenge you all to go into bad neighborhoods with your trusted devices, allow them to be somewhat visible, get them stolen, then try to access your Apple IDs. Then we’ll see how much you like two factor authentication that can’t be turned off. The only thing that makes this decision even worse is the fact that they don’t explain this ‘two week’ rule up front, nor do they make it easy to find out what to do if you don’t see the link to turn off two-factor. I had to replace my phone recently and the genius in the store said we need to turn on the two-factor just to make the swap. No warning that this needs to be switched back within two weeks or I’m locked into this forever. And every set of instructions stops at the same place, which is to click to the link to turn it off. Can you at least offer a *Note saying, ‘if you do not see this link, here is why’. I don’t think most users search macreports to get additional support so they just get stuck in a ridiculous loop. I love Apple and its products, but I have to say this really is a horrible decision that reside with the end user. I just realised that I cannot turn off the Two-Factor Authentication. and I should do whatever I want to do. PLEASE APPLE GIVE US AN OPTION TO TURN IT OFF. What do I do? I dont have turn off notification. I completely agree that Apple should stop trying to force users to do things. We pay dearly for Apple products, and should have the freedom to choose on which devices to keep 2-factor authentication. This is very aggravating indeed. I agree with the other commenters. This s a stupid decision on Apple’s part. I have been a cybersecurity engineer for nearly 20 years, for both corporate and military. Two-factor should be an option. If an app or function needs two-factor, it can tell you so snd give you the choice to use the app or not. But making it a requirement is like the rules for the DoD’s SIPRNET. I agree with everyone. Apple seriously??? You are making decisions for us treating customers as if we can’t make our own decisions. More than once in the past month I’ve asked myself why do I continue to buy Apple products. I suggest you make an update that allows us to turn this feature back off. It has cause me more grief than it could ever help. I do not have two phone numbers so if my phone is lost or stolen it would be impossible for me to get a verification code. Had I known UPFRONT that I had 2 weeks to turn this on, I would never had turned it on. You should really provide ALL user manuals with all of your products and software updates. This two factor verification is one of THE most annoying and irritating features I have even come across. . I wish it had never been born. The fact that you can’t turn it off is such an inconvenience. I only turned it on because I was pushed into it by the Apple machine. Its such a drag. There must be a way of lobbying apple to change this – surely? Its really stupid, nobody had ever mentioned this, until I faced the issue and had to find the solution myself, staffs in the store can’t give me the answers. They don’t even know that once your iMac is set up after 2 weeks, you can’t disable two-factor authentication. What kind of shi- is that, What if I lose my iPhone, how am I gonna get into all my accounts? This is the kind of thing that would make Steve Jobs turn over in his grave. And one other thing, Something is wrong with Mojave, cuz I can’t sign into my App Store unless I use a two-factor authentication. And even after the log in, it takes forever to update the application. I been trying to update my legitimate Logic Pro X for weeks now, nothing happened. The wheel keeps spinning. its ridiculous. Called the staffs and they blamed it on the internet. Y’all are really making apple go downhill. Steve jobs would be disgraced by this. Two factor is fine as a concept, but when you tie it to a phone number that you harvest from a users device without their clear permission this is wrong. The phone number is tied to a service provider you likely paid for with a credit card, hence you have lost your privacy. This change has put those with stalkers and women with restraining orders against people who may harm them at a very real risk of harm, and is less secure than random security questions. Your location info can now be obtained from cell tower providers, and tied to you. Also a phone number can be easily forged or cloned, so in effect this is a back door for untrustworthy governments such as Russia and China who will have no hesitation to duplicating your phone number to break your two factor security. If Apple cared about security they would allow you to remove the phone number and use more secure random security questions. To leave this as is simply puts women with stalkers, and activists in countries fighting for democracy such as Russia and China in harms way. Its a bad bad move. Are there any free countries on earth where Apple isn’t violating the privacy rights of their users and forcing two factor authentication? Its funny most of the people commenting are screaming Apple are too secure lol Morst of the retards commenting here have no idea about security. Add a 2nd or even 3rd trusted phone numbers people and send the code to that.